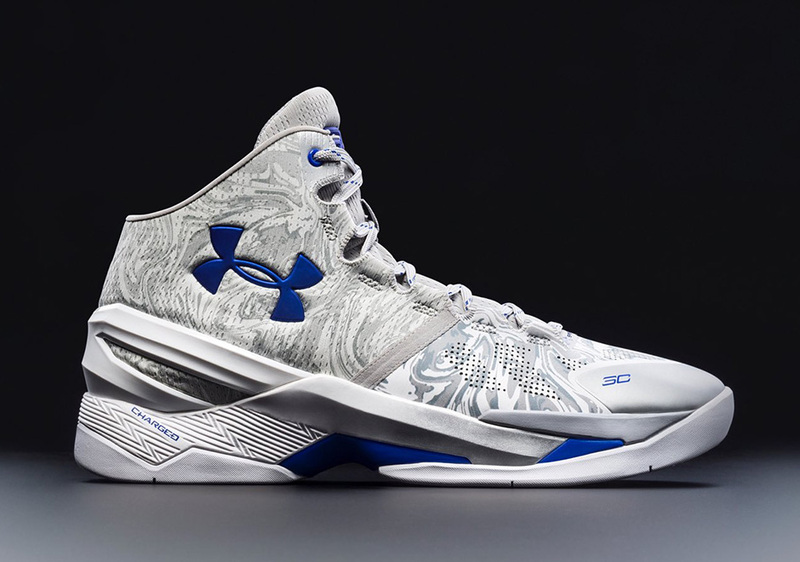 Are Under Armour and Stephen Curry already looking forward to a post-championship summer vacation at the beach? 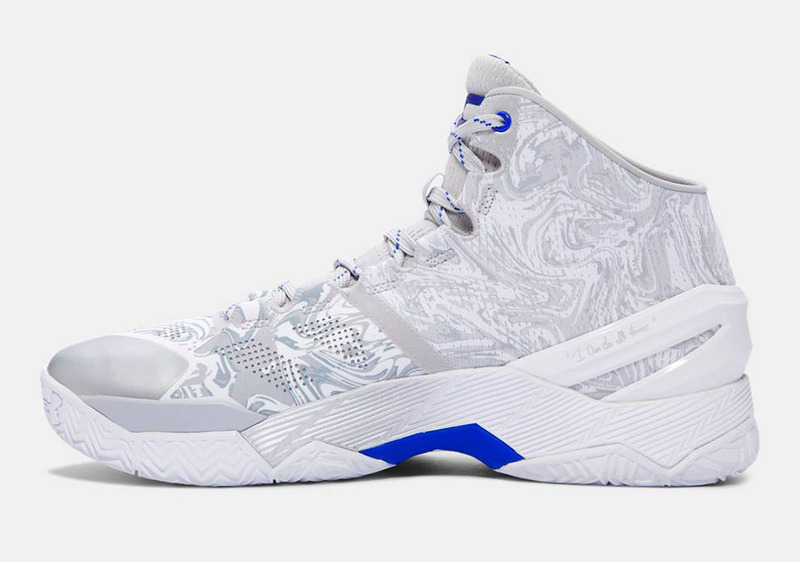 That’s one theory behind this latest colorway of the Curry 2, which just dropped ahead of a potential series closing win against the Cavs in either of the next two games left in the Finals. 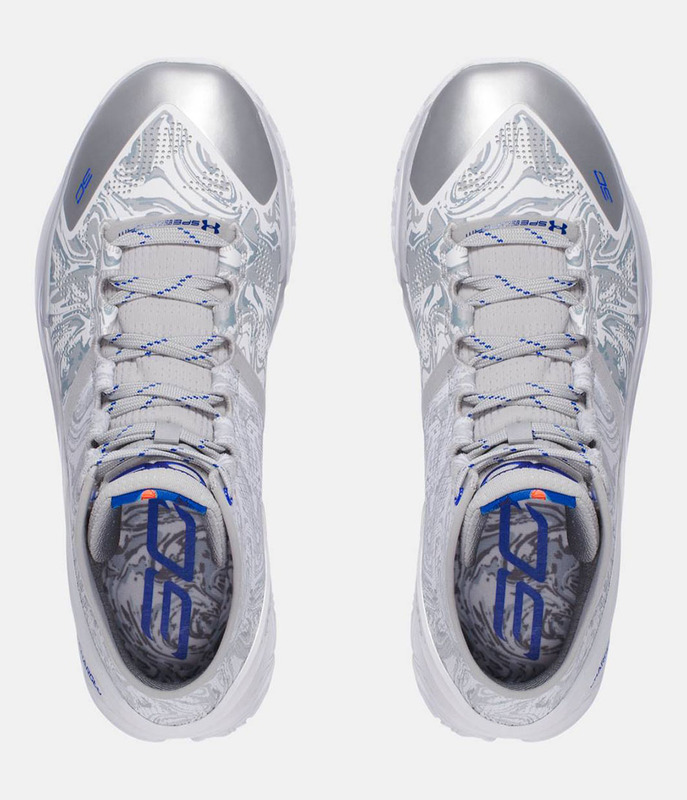 The shoe features a wavy graphic upper in white and grey with deep blue accents throughout for a fresh summertime look. 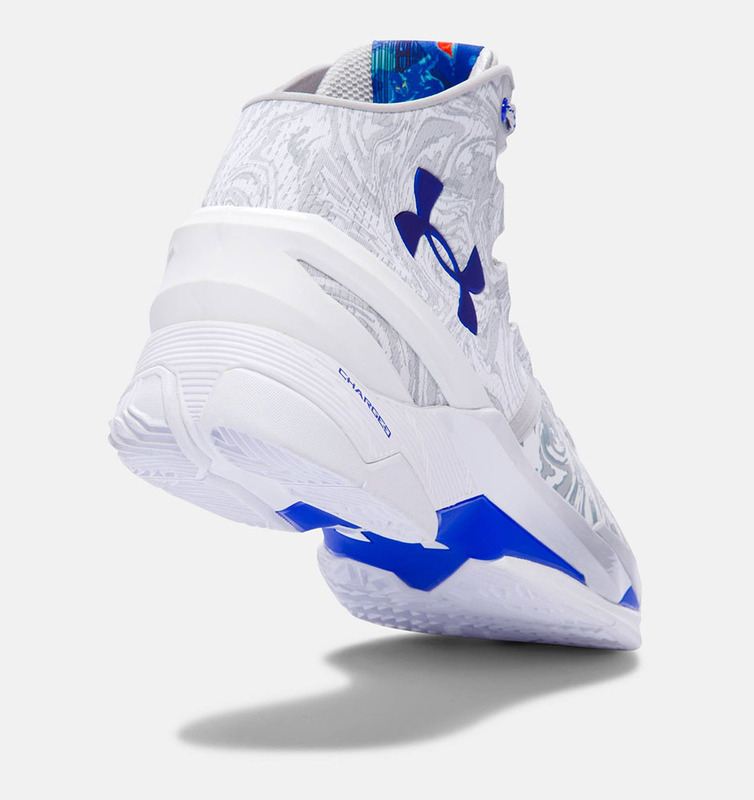 Surf the web over to Under Armour’s site to grab your pair of the Curry 2 “Waves” right now.